August 29, 2018 September 12, 2018 jackigilpinLeave a Comment on Credentials: What do all the letters mean? Credentials: What do all the letters mean? The letters behind a health professional’s name can often be confusing and not really mean much without context. And while a person’s credentials won’t begin to tell you the whole picture of how caring, invested, experienced, or pleasant a provider is, it can be a good baseline in understanding their background. 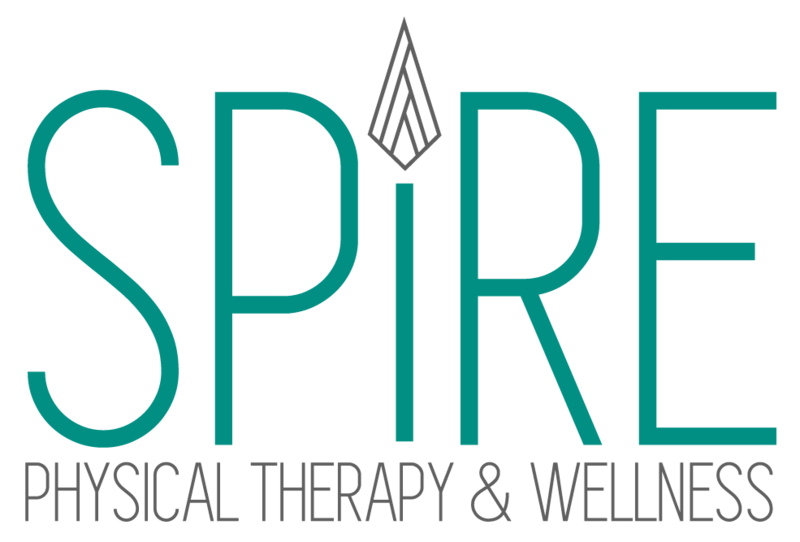 Jacki Gilpin PT, DPT, OCS is the sole practitioner at Spire Physical Therapy & Wellness. Let’s break down those letters. PT stands for Physical Therapist and is the designation all physical therapists receive when they pass the national board exam for physical therapy following school. DPT stands for Doctor of Physical Therapy. In the physical therapy field, you can still find practitioners who have their Bachelors or Masters degree in physical therapy. However, current programs have transitioned to a doctorate level program that you enroll in for approximately 3 years after completing an undergraduate degree and many prerequisite courses. A DPT program requires increased depth and breadth of knowledge than previous degrees so that physical therapists are better equipped to act as first-line resources for patients while being able to properly screen for medical conditions outside the scope of physical therapy. A DPT is a clinical doctorate program, requiring rigorous didactic work as well as multiple clinical internships. While physical therapists who have DPT degrees are well within their right to call themselves Dr. _______, Jacki prefers maintaining more personal and equal relationships with her clients. OCS stands for Orthopedic Clinical Specialist. Once you receive your physical therapy degree and pass your national board exam, you could continue being a physical therapist while just maintaining yearly continuing education requirements. However, Jacki wanted to deepen her knowledge in the field, and pursued this specialization. To apply to sit for the exam, you are required to prove you have provided at least 2,000 hours of direct patient care in your specialty area. (Specialty areas include Orthopedics, Cardiovascular/Pulmonary, Clinical Electrophysiology, Geriatrics, Neurology, Pediatrics, Sports, and Women’s Health). The exam is held once per year and is a highly demanding test of your knowledge in all aspects of your specialty area. Jacki achieved the honor as a board certified orthopedic clinical specialist in physical therapy in 2018, becoming the only practicing provider with this distinction in Montezuma County, and one of only 380 physical therapists within the state of Colorado. Jacki prides herself on being a lifelong learner, always looking to stay up to date on new evidence, new techniques, and best practice guidelines to best serve her patients and clients. She has completed countless other certifications and courses including her full STOTT Pilates certification and Functional Dry Needling training which don’t carry letters with them, and she consistently goes above and beyond state licensing requirements for continuing education. However, she also recognizes that classes and credentials are only one small piece of the overall picture of care, and aims to emphasize the often less tangible aspects of a good client experience in her practice too.